I’ve written about medicating anxious dogs before, and it’s such an important topic that I want to touch on it again. There are so many misconceptions surrounding this subject.The idea that anxiety medication should only be used after everything else has been tried is so sad and harmful, and is a myth I encounter on a regular basis. Let’s clear up some of the fog surrounding this common misconception. Before we get any further, please remember that I am not a veterinarian and I don’t play one on the internet. The information contained in this blog is not meant to diagnose or prescribe, and is only provided for your information. I’m drawing from my experience as a certified veterinary technician, canine behavior consultant, and the owner of an anxious dog to educate you, but your best resource is always going to be a licensed veterinarian. I get phone calls from people very concerned that their pup or dog is growling at them, or more worryingly, at their children. People believe that a growling dog is a threat and that the dog is dangerous because of one or two instances of growling. I like to reassure people that a growl is NOT a direct threat, and in fact, is the dog trying to communicate rather than intimidate. Play. This is a very specific growl and usually accompanies having dropped a toy or grabbed a trouser leg and starting to tug, or indeed, in the middle of a game of tug. Puppies growl to initiate play with other puppies – play fight if you will. Like little kids name calling or poking to get the other one to chase or engage in rough and tumble. There is nothing wrong with play growling, so long as it is in context (the dog is indeed playing) and low-key. 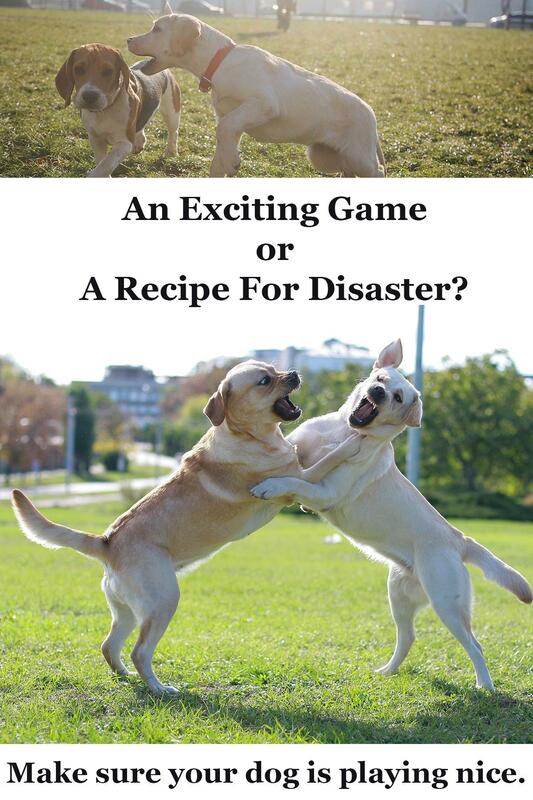 The excitement of play, either between two or more dogs or between a dog and a human can indeed escalate to something a little more serious. If growling in this situation becomes intense, its time to halt the games. Its a good idea to build pauses in play, or call your dog out of play (releasing it to go play again if appropriate) every few seconds to ensure that it doesn’t get out of hand. Pain. Post-surgery, during an illness or an older dog may grizzle and grumble and even growl when touched if it is in pain. Here, the communication is “that hurts, please don’t”, even if it is not accompanied by whining that we would usually associate with an animal in pain. If your dog starts growling suddenly when touched, check in with your vet. Resource Guarding. Your dog has something he wants to keep and he thinks you or the kids are going to take it away from him. Many people (and indeed ‘old school’ trainers) will tell you the solution is to take away the toy/food/place by force. However, if you look at this from the dog’s point of view, he was growling to tell you he really wasn’t done with that bone, and you took it from him anyway. Like the rude waiter clearing plates before everyone is done eating, you chip away at your dog’s trust every time you ‘steal’ (in his eyes) that sock he was chewing on. In this situation, trade your dog for something better. You want that sock back? Give him a biscuit. You need to put his bone away because the cousins are coming over? Sprinkle a few pieces of cooked liver or a small handful of roast chicken a few feet away from your dog and wait for him to go to the food before collecting the bone. Teach your dog to voluntarily drop items like toys in exchange for food and another play session so that he knows giving things up doesn’t mean they go away forever. 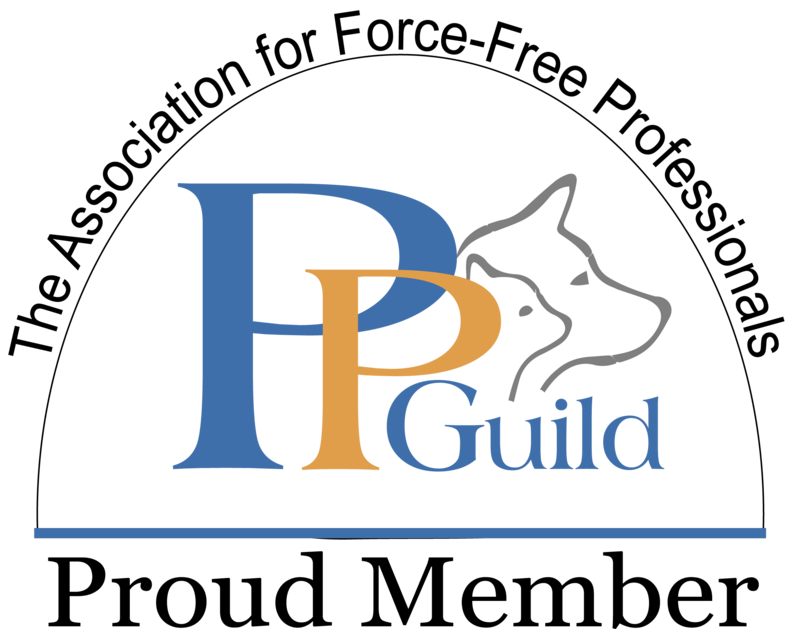 If your dog IS resource guarding, please get in touch with a qualified, modern trainer to help you and your dog work through it. Emotional discomfort. Your dog isn’t happy with strangers petting him. He doesn’t like the neighbours’ dog to come closer than 5 feet. Again, you wouldn’t make your child play with the neighbour kids if he wasn’t comfortable with them. You wouldn’t let a stranger touch your child without both your and her permission. In these cases, simply allow for your dog’s emotions and create space between your dog and the things he growls at. In the home, this can be accomplished with baby gates or keeping your dog next to you on lead when there are people in the house. This is another situation where a behaviourist or trainer with behavioural knowledge can help you work through with counter conditioning and other force free methods. Aggression. 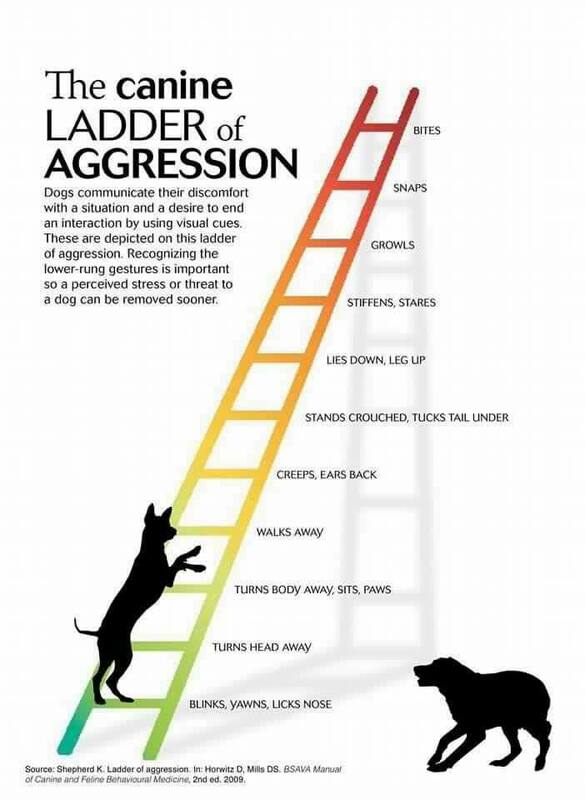 Some dogs do have aggression. We can’t always know why, but studies show that it is based in fear in 90% of cases. 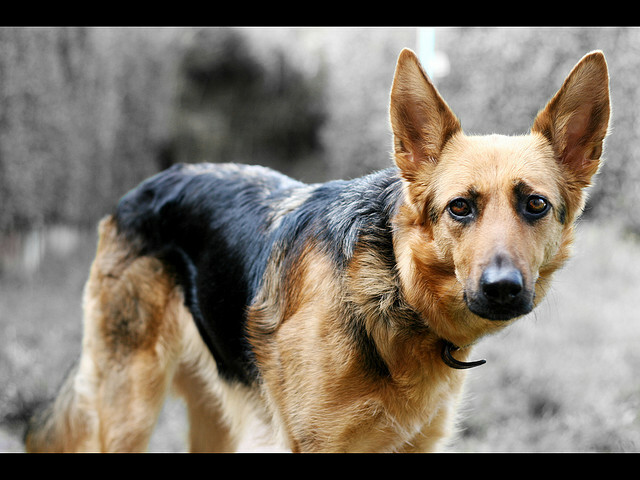 If you cannot pinpoint what circumstances cause your dog to show aggressive behaviour, speak to your vet about possible underlying medical conditions before consulting a qualified behaviourist in your area. 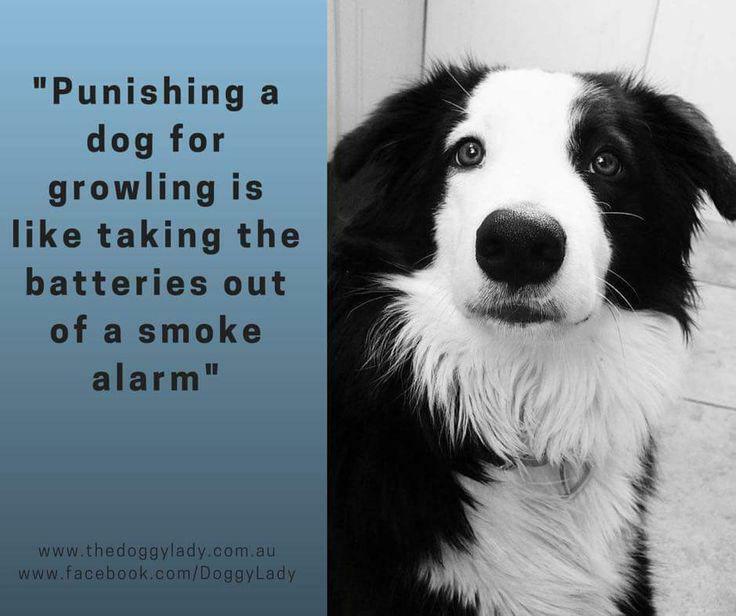 Whatever the cause of your dog’s growling, it is vitally important that you do not punish the growl. Punishing communication will not make your dog’s emotions change, but it may remove the early warning signs that your dog is unhappy and he may take more direct action to change his circumstances if he is no longer allowed to growl. 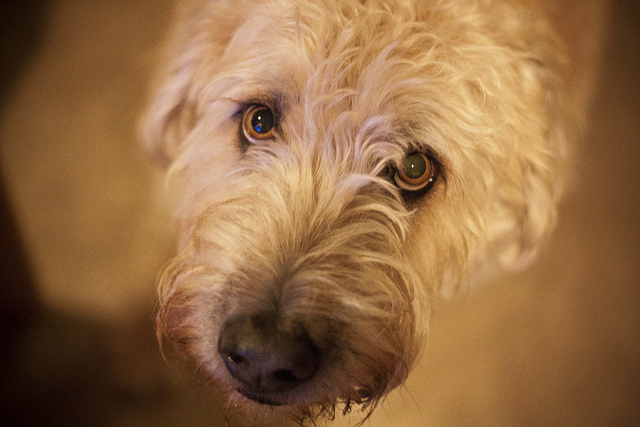 What do do – listen to your dog. If he growls at the kids, teach them to stop what they are doing and give him more space (and to not repeat whatever they were doing prior to the growl). Same goes for adults and other dogs. For out in public, teach your dog an emergency U-turn or to tuck himself in behind you so that he has a barrier between himself and the person or dog he doesn’t want to be near. What not to do – take offense at your dog’s communication, any more than you would if the person standing next to you on the train asked to you to give them a little more room. Don’t try to ‘dominate’ your dog by shouting, pushing, staring, hard-touching, muzzle holds or other aggressive means of ‘showing you are boss’. These techniques are either going to supress the growl (again, not changing how the dog feels) or be seen as an aggressive display which may cause him to react with a snap or a bite. 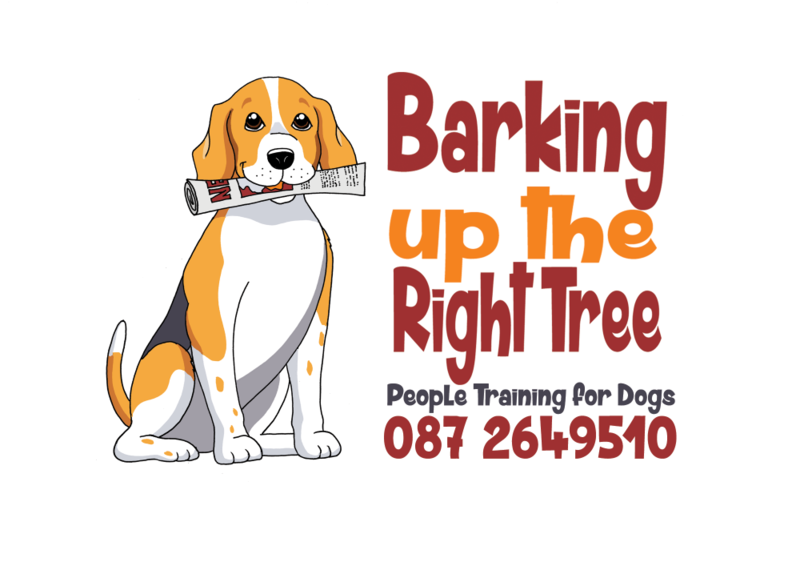 Marta Young is a qualified dog trainer with Barking Up the Right Tree (www.barking.ie) in North County Dublin and a member of the Pet Professional Guild. So quick and easy and you can use whatever your dog likes best for flavour, or omit ingredients your dog is sensitive to.